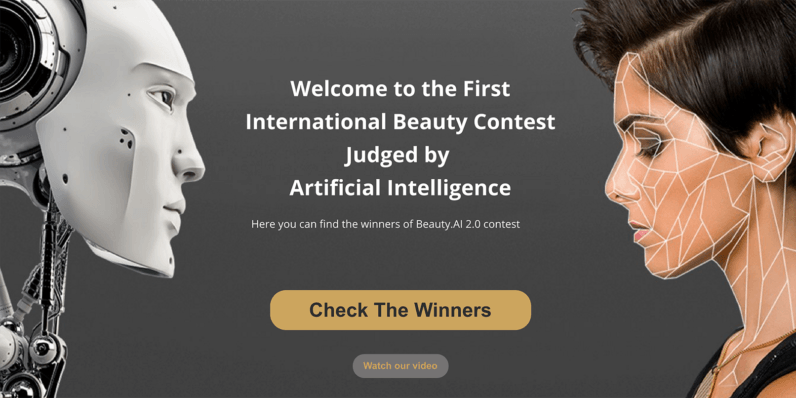 With more than 6,000 applicants from over 100 countries competing, the first international beauty contest judged entirely by artificial intelligence just came to an end. The results are a bit disheartening. The team of judges, a five robot panel, attempted to pick winners from the submitted photos in hopes that it could determine which faces most closely resembled the idea of “human beauty.” Each of the five robot judges used artificial intelligence to analyze specific traits that contribute to perceived outer beauty. Using complex algorithms, the judges picked 44 winners. A handful were Asian, one was black, and the rest were white.None of them, it appears, like people with dark skin. It’s basically what would have happened if Tay had come back to life and decided to judge a beauty contest. While it’s easy to joke about racist robots, the controversy over bias in artificial intelligence — and how that bias could both stem from and perpetuate human bias — is a very real problem. The results from these early tests of advanced algorithms and artificial intelligence — while unintended — often leads to offensive results. For a technology that’s still in its infancy, you can point to an equal number of major snafus as you can victories led by AI. One thing is clear: we’ve a long way to go, both as humans and robots.